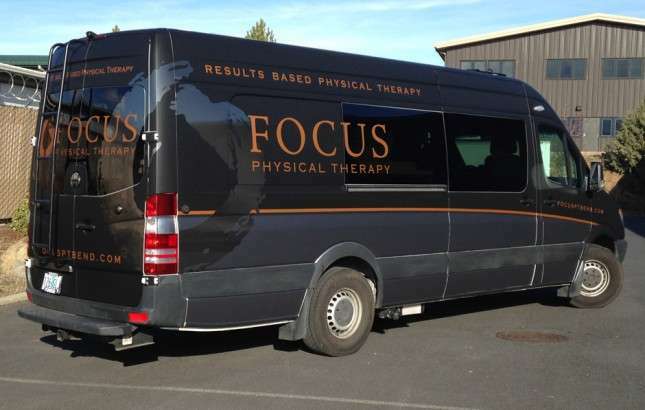 The Focus Mobile Sports Van – Coming to an event near you! We are proud to introduce the Focus Mobile Sports Van! Look for us at sporting events and around town, come by and say hello! This 2012 Sprinter Extended Body van started life as a barebones cargo transporter over in the valley. We acquired it and had help from Van Specialties in Tualatin to convert it to an amazing gear hauler and camper, and local company Dealin in Signs did the incredible wrap. We are ready for the season, and we’ll literally go miles and miles for our community and athletes!